In light of the looming shortage of fibre supply, I won’t be posting for the next couple weeks – while exploring what I understand to be a new rapid growing species of pine on Maui called Pinus Apple. 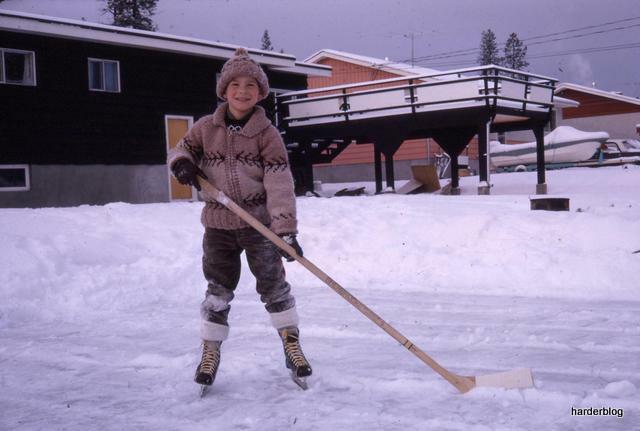 These days, if NHL players were on the ice, they’d be whacking streaking wingers’ shins with costly composite sticks rather than “laying the lumber” with traditional “Sher-wood”, similar to the weapon my uncle Pat demonstrated many years ago on my family’s Prince George backyard rink. That’s how The Province describes a combination of factors contributing to resurgent lumber prices. The ‘perfect storm’ reported here refers to evidence of gradual recovery in the U.S. housing market at the same time as demand from China has been ramping up, layered now with expectations of increased demand for wood products to rebuild the devastation caused by Storm Sandy. Of course what needs to be added to the mix, which the article omits, are concerns over available shrinking fibre supply to satisfy that demand. Certainly, the U.S. housing crash in 2008 saw many skilled workers cross over to other, more prosperous heavy industries such as oil and gas. However, worries reportedly over “massive labour shortages as mills and logging camps get back to work” seem to fly in the face of more pervasive concerns surrounding dwindling timber supply. No doubt the many factors at play represent a story of both opportunity and challenge. This lumber trader-blogger has been invited by CBC Radio The Early Edition to share in a live discussion on the story this Tuesday morning at 6:50 a.m. PST. Hope you tune in! A report in The Guardian tells us that sustainable forestry strategies in Liberia are being undermined by logging companies exploiting “loopholes” in the law to strip the forest there. Evidence points to misconduct by both government and the logging companies, including forged documents and communities being defrauded out of their forest rights. Basically logging operators are now in total control of huge tracts of Liberian forest with no regulation of their activities. “Thousands of logs are still being exported to China and the EU; this year alone, France was the leading importer of Liberian timber behind China.” See full story here. Reports from last week’s NAWLA Traders Market in Chicago indicate nary a single lumber market bear was in attendance. The looming fibre shortage has gone mainstream. It’s no secret. Perhaps we shouldn’t be surprised at growing timber investment around the world: see links to recent examples in B.C. here, New Zealand here, Russia here. Further to yesterday’s post, the notion that these deals “open doors” to markets in Asia, when China’s wood fibre shortage will soon be three times the annual B.C. timber harvest, seems a stretch. Is the horse already out of the barn? Canada will observe Remembrance Day this Sunday. Throughout B.C. and across the country, small villages and towns will remember the sacrifice of young lives in wars that Canadians have fought and died. 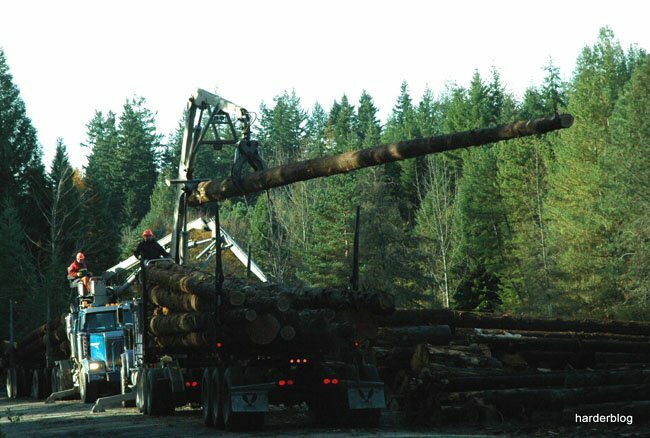 In Fort St. James, Stuart Lake Lumber is no longer in operation. However, Remembrance Day will unfold there again, just as it did back in 1999, when my dad wrote about the outdoor ceremonies in the town center here. He also provided these images of the Vimy Memorial, taken during a pilgrimage to France and Belgium this past June to trace the history of Canada’s involvement in the First and Second World Wars. While financial markets hope for a Presidential winner by the opening bell, a disturbing report today from Bloomberg takes a closer look at a growing trend toward replacing traders.. with machines. The recent spurt in lumber marketing memos and policies might naturally lead some wholesalers to read between the lines. So far as we can tell however, there are no plans afoot to automate the wholesale function. Still, if computer algorithms can now “respond” based on market liquidity, can robotic firms be far behind?